The United States imposed sanctions on Thursday on two Chinese shipping companies it says helped North Korea evade US and international sanctions over its nuclear weapons programme, the first such steps since US President Donald Trump and North Korean leader Kim Jong Un’s summit collapsed last month. The move prohibits US dealings with the designated companies and freezes any assets they have in the United States. Washington announced the measures three weeks after a second meeting between Trump and Kim broke down over conflicting demands by North Korea for relief from sanctions and from the US side for North Korea to give up its nuclear weapons. The United States has led international efforts to press North Korea through sanctions to give up its nuclear and ballistic missile programmes. 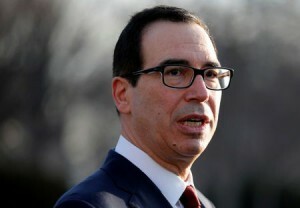 “The United States and our like-minded partners remain committed to achieving the final, fully verified denuclearisation of North Korea and believe that the full implementation of North Korea-related UN Security Council resolutions is crucial to a successful outcome,” Treasury Secretary Steven Mnuchin said in a statement. The latest sanctions showed there was some “leakage” in North Korea sanctions enforcement by China, but Beijing was mostly abiding by UN resolutions, a senior US official told reporters, speaking on condition of anonymity. The official insisted, however, that Thursday’s announcement was meant to maintain sanctions enforcement on North Korea rather than intensify the pressure. They pointed to a 2019 UN report that found that North Korea continued to defy UN sanctions with an increase in smuggling of petroleum products and coal and violation of bans on arms sales. The Treasury statement said Dalian Haibo was targeted for dealings with Paeksol Trading Corp, a company previously designated by US sanctions on North Korea. The statement said Liaoning Danxing had “routinely used deceptive practices” to enable the work of North Korean procurement officials based in the European Union. It said that if the tankers were fully laden, North Korea would have imported 3.78 million barrelsmore than 7-1/2 times the 500,000 barrels a year allowed under a UN resolution.